On Friday, the 5th of August, 2017, the deafening address you gave to the South-East governors, National Assembly members, Ohanaeze Ndigbo and Igbo leaders on political developments in the South-east and state of the nation, went viral on social media. It was a wonderful address, of course, which can secure you a king’s ransom in Nigeria. After perusing your well-worded address, I appreciated the fact that such well-coordinated brain could only originate from the land of the rising sun (Biafra); indeed, the apple does not fall far from the tree. I still would want to use this chance to speak well of you for your effort in the past in bringing up the Biafra issue in the floor of the Senate. Your good start is admirable and Biafrans do commend you for such a courageous step made in the right direction. I was impressed when you recognized the fact that the Biafrans have been at the receiving end of the structural imbalances with ripples of disequilibrium in the distribution of resources and opportunities in Nigeria since the end of the civil war in 1970. That was a wise remembrance from you. But as an elder who has the goodwill of his children at heart, what have you done all these while to bring an end to all the injustices meted out against your people? Action speaks louder than voice, you know. Just as you rightly posited, “it will not be good to hear that the she-goat delivered in tethers when elders are at home’’, but this is what we have been experiencing in the time of this present-day elders. The she-goat has been delivering in tethers while our elders strangle themselves over political posts. As our people are being marginalized, killed, our elders are busy fighting tooth and nail for political relevance. Is that not an abomination? Your passionate embrace to restructuring as the only viable route to save your people from marginalization, can be seen as a wrong and unreasonable move from an experienced and learned elder of your status. It has become a general understanding that the northern region of this contraption (Nigeria) will continue to oppose and frustrate every effort to restructure Nigeria along resource control, true federalism, and devolution of powers to the states. Sir, I would wisely advice that if you want more years to be added to you, better not mention true and fiscal federalism to the northerners. Mrs. Margaret Ekpo tried and failed, Dr. Nnamdi Azikiwe in l met the same fate, Isaac Adaka Boro in 1963 got the same result, Chukwuemeka Odumegwu Ojukwu tried likewise in 1967, popularly known as Aburi Accord which later led to a great genocide on our people; even children were starved to death and pregnant women killed. Lastly was Ken Saro Wiwa in 1993 which led to his demise in the hands of the northerners. Sir, experience they say, is the father of wisdom and a burnt child dreads fire. You and I very well knows that the wild fire is never satisfied with burning down only one tree in the forest; hence, the north remains the wild fire in Nigeria. Many people have fallen in pursuit of this true and fiscal federalism. Be wise. Even if eventually your restructuring finally sees the light of the day, it is going to result to a great future genocide on our people. I’m not doubting you about Biafrans excelling more than the other constituencies in Nigeria, but take for instance, what happens when you are rich and your brother is poor? Of course, you know better than me that your poor brother is going to be a burden and a headache to you. Certainly, the North cannot do well in a restructured Nigeria because they are the lazy type. Their hobby is terrorism. It is obviously clear that the north will eventually metamorphose into a terrorist constituency in a short period after restructuring, due to their envy caused by their slothful nature. You cannot give what you do not have, and so, what the north has is terrorism and will make use of that to get what they want. Do not plunge your people into another genocide because after a foolish deed comes remorse. Before examining your views on legal, political, economic and social disadvantages of Biafra, let me also remind you as a sensible elder that your people know very well that he (you in Nigeria politics) who is eating does not talk. Let us keep away sentiments and the love we reserve for you and face the reality; anyone who associates his or herself with Nigerian politics becomes a tool of the Nigerian government. Your inability to come out in the open, for at least a day, to list the advantages of Biafra has questioned your sincerity. Everything with disadvantages has also advantages. On your legal views, you made mention of Nigerian government being a territory recognized by the international community and that she is also a member of the UN, AU and ECOWAS. These are undisputed facts indeed. But for you to use that to try to strengthen your belief on indivisibility of your One Nigeria has raised a question mark on your level of education and knowledge of the present world. 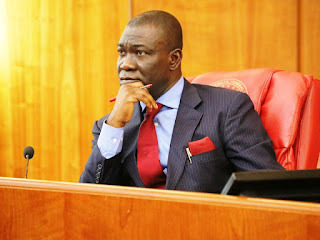 You did well by picking some strategic aspects of political history to try to meet your targets; your target of weakening the tempo of the Biafra agitation, making sure people go out to vote and achieving the hopeless restructuring saga that has received a heavy blow in the Senate in recent times.But my question is, what happened to Yugoslavia and Soviet Union? They did went their separate ways. These were mighty empires in which Nigeria is nowhere near their level of strength but today, I do not think you can still find their international passports anywhere in the world. What about Mahatma Gandhi of India? The man who gave voice to the Indian masses just like Mazi Nnamdi Kanu, the leader of the Indigenous People of Biafra, IPOB. Gandhi fought excellently well against the Great British imperial rule on the strength of his three non-violent movements which includes; Non-cooperation Movements from 1920-1922(he advised his people to dissociate themselves from any activities of the British imperial rule), The Civil Disobedience Movement which kicked-off on March 12, 1930 to 1931 and lastly, The Quit India Movement of 1942. Recall that during those days, the Great Britain was occupying the League Council in the then League of Nations now known today as United Nations (UN). Britain and France were determining the fate of every other nations of the world excluding America. Amidst the threats the League of Nations posed then, the father of the Indian Nation (Mahatma Gandhi) bravely led this three movements (the epitomes of self-determination) that brought the Great British Government to her knees which culminated to the emergence of India's independence today. Wills made by the dead are changed by the living; we should not dispute that fact, inasmuch as change remains a permanent thing in life. Coming to your political considerations of the so-called South-South geopolitical region not agreeing to be part of Biafra, I still want to applaud you for recognizing that there is safety in number. But it was quite unprofessional for you to conclude in a hurry without observing the state of minds of the silent majority. For instance, Donald Trump of America was spotted and seen as a candidate whose failure in the last America's election of the POTUS, was a foregone conclusion by so many professors in America and around the globe. At the end, the result of the polls proved many pundits wrong; that is the silent majority for you. In Britain, David Cameron campaigned against Brexit and was disgraced. If the seating governor of Rivers State, Nyesom Wike says he is not part of Biafra, does it mean the overall citizens of Rivers State have agreed not to be part of Biafra? Governor Wike is only one vote just like David Cameron in Brexit. In Nigeria today, the poor masses are praying and scavenging for an exit door to extricate themselves from this hellish and abysmal zone called Nigeria. It would be wise enough to let you know that if the door of Biafra is thrown open today by Mazi Nnamdi Kanu for other ethnic groups not of Biafra origin to join, heaven will let loose. You failed to put into consideration the negative effects of your economic and social considerations. To advice Biafrans in the north to stay put because of their investments in the north does not solve the problem in any way. Lives and investments, which one is more sacred and important? If they keep living in the North, they will always be killed by the northerners at the slightest provocation. You know that, although the Mangrove trees stays long in the river, it does not make it to belong to the crocodile’s kingdom, a foreigner will always remain a foreigner and so there is need for our people to return home now. It is obviously clear that you allowed yourself to be ruled by the love of your political post when giving that address. Besides, an address to a handful group of people is not an address to the Biafrans. Self-determination is the key. Just as Mahatma Gandhi of Indian nation applied civil disobedience in his self-determination, so also we are doing. You were preaching to the converted by talking to the governors, Ohaneze and Igbo elders. It is simply no election in Biafra land. The silent majority will always prove IPOB right. How can you restructure a country that has no functioning institution? What are you restructuring in the first place? Nigeria needs to be divided into three, four or five nations. Let each nation go and restructure themselves. Hausa-Fulani do not understand democracy and will never be democratic and secular society. Islam and Sharia rule their lives. How can Igbo, Yoruba, and other progressive groups in Nigeria be subjected by these Hausa-Fulani terrorists. Nigeria needs to be dividend period! Restructuring is just waste of time and tax payers’ money.